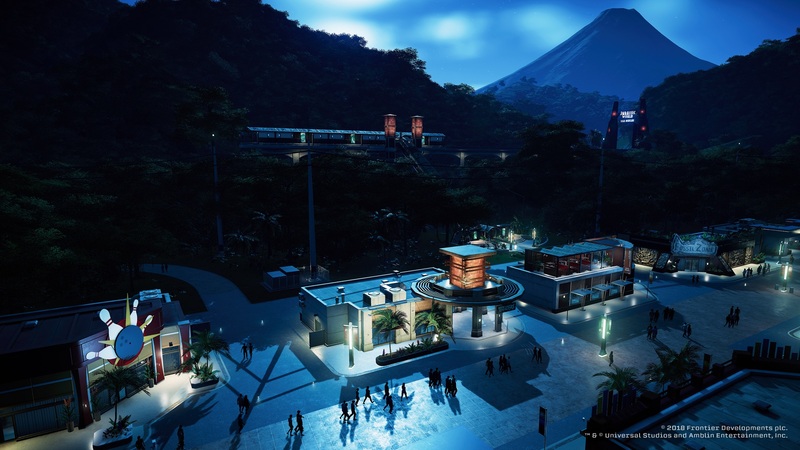 Jurassic World Evolution has you in control of your very own Jurassic World theme park. You’ll first start off with a tutorial island to get you familiar with the game’s mechanics. 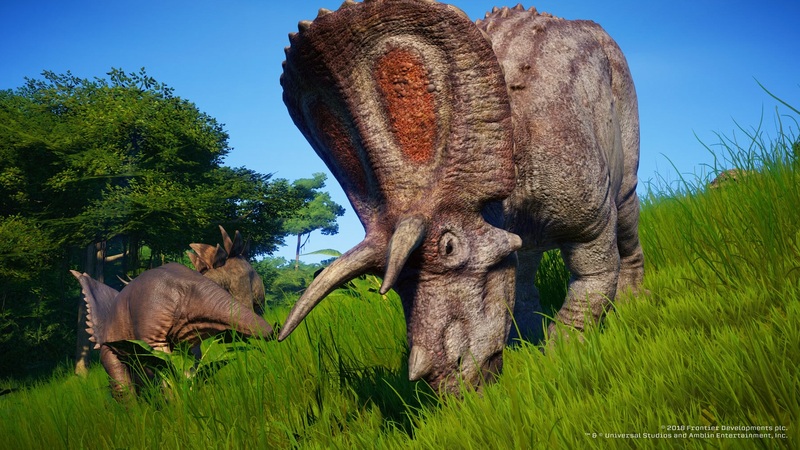 It teaches you about how to incubate dinosaurs, placing buildings, researching, sending out expedition teams to dig sites to get more fossils and maintaining happy guests and dinos. You’ll also be introduced to three department heads, who will give you missions to complete, Entertainment, Science and Security. They’ll give you tasks to complete or you can request new missions through the menu but you can only have three going at once. You’re able to control everything from what items are sold in shops and how much they’re sold for (even for high-profit margins) and much more. There are roughly around 30 dinosaurs in the game. You’ll also meet Dr. Ian Malcolm (voiced by Jeff Goldblum from the Jurassic Park films), Dr. Henry Wu (voiced by B.D. Wong from the films) as well as Claire Dearing (voiced by Bryce Dallas Howard from the Jurassic World films) and Owen (who is played by Chris Pratt in the film by doesn’t voice his character in the game). As you progress to other islands, you’ll begin to encounter other elements such as dinosaurs escaping and attacking guests, storms and sabotages by one of the department heads. One thing I didn’t like is that some building controls can be a bit finicky, the monorail placement system is just terrible and doesn’t work at all. When you place a building in your park, you can’t just place it anywhere, it has to be somewhat near an existing path as well on a flat surface. The game doesn’t really hold your hand through, you’re kind of on your own and if you need help to figure something out, you’ll just have to rely on the basic help screens. So for example, if your park has a power outage or a dino breaks out of its enclosure, you’ll have to figure it out on your own. 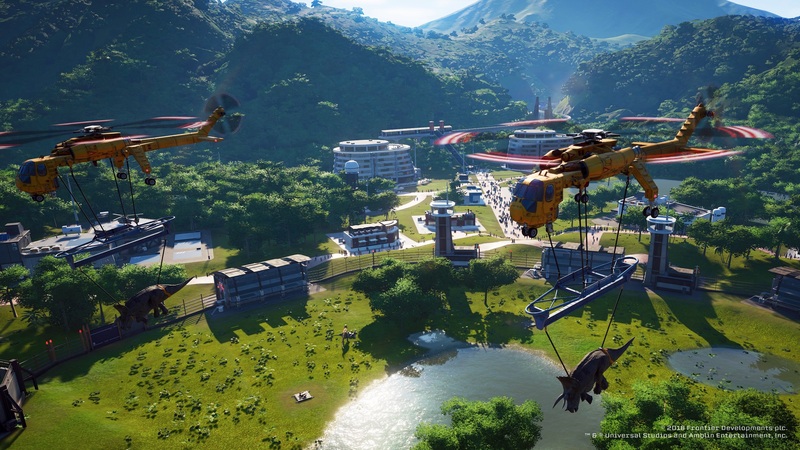 Just like Frontier’s 2013 reboot of Zoo Tycoon, you can also control vehicles in the game from jeeps to helicopters. You can even customize the vehicles with different skins that you can unlock in the game. 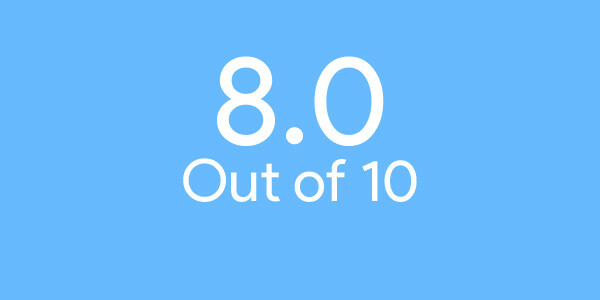 The game feels good and is smooth overall. There were one or two times when the game crashed. 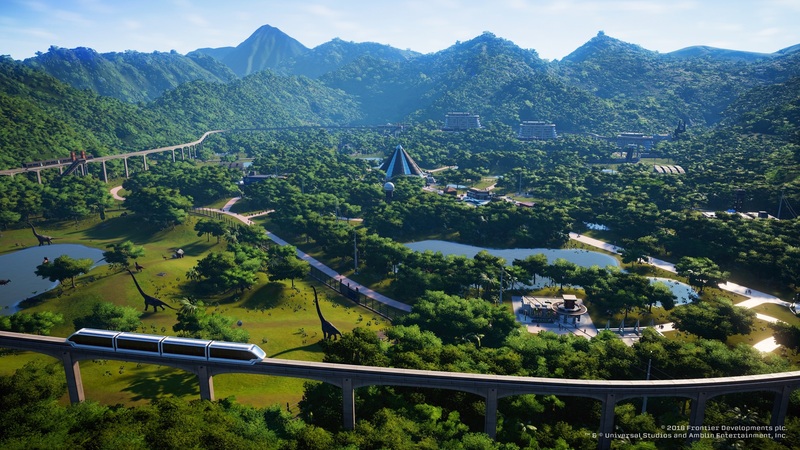 Once you get the hang of things, the game can start to feel like a grind, especially that can take a while to raise your park’s rating to unlock the rest of the islands. 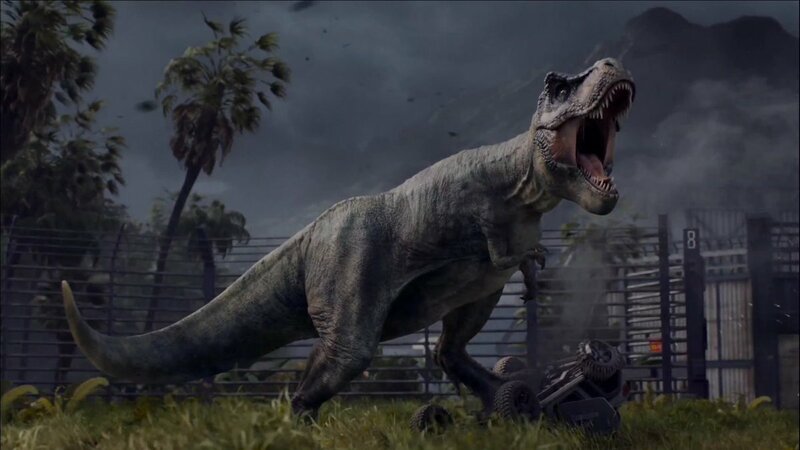 Jurassic World Evolution looks great, each of the dinosaurs is detailed. And each of the islands is vibrant and bright. But all the islands in the game kind of look the same with some slight variations like being next to more of a mountainside or near the beach. There are no real variations on the in-game environments. The game is playable in 4K Ultra HD and HDR 10 on Xbox One X. Overall, Jurassic World Evolution is a good game that’s basically Zoo Tycoon but with dinosaurs. But the game has a distinct lack of finesse in some areas, such as building controls and options when building out your park. Jurassic World Evolution is available now digitally for Xbox One, PS4, and PC for around $59.99 CAD with a physical release for July 3rd. The physical copy will cost $74.99 CAD. I conducted this review using an Xbox One review copy provided by Frontier Developments.